An expert in the history of international relations, Mary Elise Sarotte is the inaugural holder of the Marie-Josée and Henry R. Kravis Distinguished Professorship of Historical Studies at Johns Hopkins School for Advanced International Studies (SAIS). 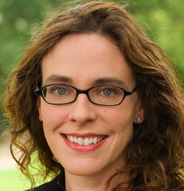 Sarotte is also a research associate at Harvard University’s Center for European Studies. Sarotte earned her AB in History and Science at Harvard and her PhD in History at Yale University. She is the author or editor of five books, including The Collapse: The Accidental Opening of the Berlin Wall and 1989: The Struggle to Create Post-Cold War Europe, both of which were selected as Financial Times Books of the Year, among other awards. Following graduate school, Sarotte served as a White House Fellow, then joined the faculty of the University of Cambridge, where she received tenure before accepting an offer to return to the United States to teach at USC. Sarotte is a former Humboldt Scholar, a former member of the Institute for Advanced Study in Princeton, and a member of the Council on Foreign Relations. How has German unity impacted the U.S. in terms of its policies and its expectations of Germany as part of that evolving Europe in which it has become so critically important? How have the following years impacted the shaping of U.S. foreign policy, its goals, and its application? 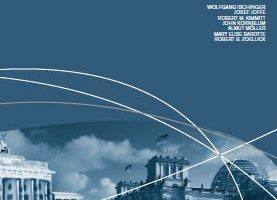 What expectations emerged about the global role of the U.S. and our expectations of a unified Germany? The questions above are the ones on which AICGS has asked commentators in this series to reflect upon as the 25th anniversary of the unification of Germany approaches on October 3. They are all significant questions but, given the space constraints, I would like to limit this brief comment to one particular aspect on which I have some modest expertise: the extensive overlap between the process that yielded German unification and the process that yielded expansion of the North Atlantic Treaty Organization (NATO).